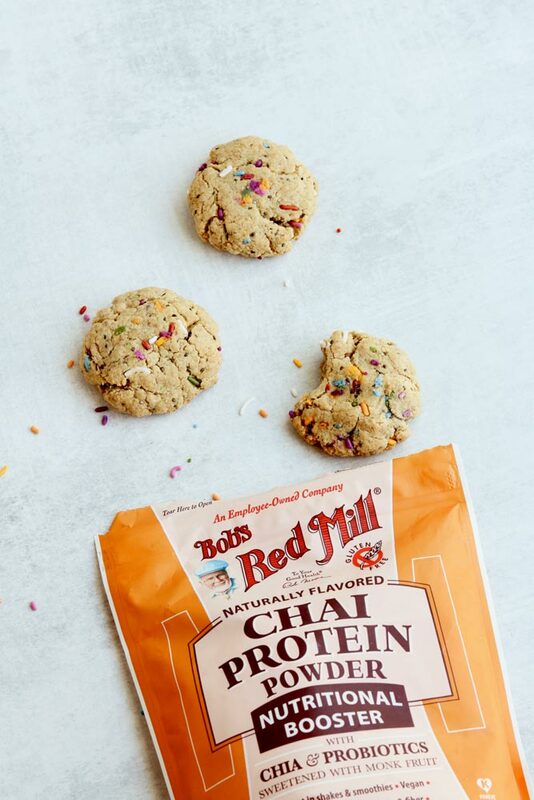 Inside Scoop: You’re going to love these Chai Spiced Vegan Protein Cookies. 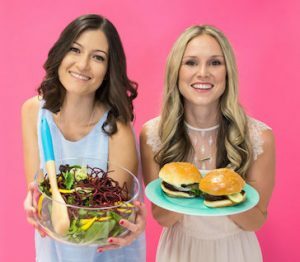 What healthy swap hack do you find the hardest? Replacing dairy? 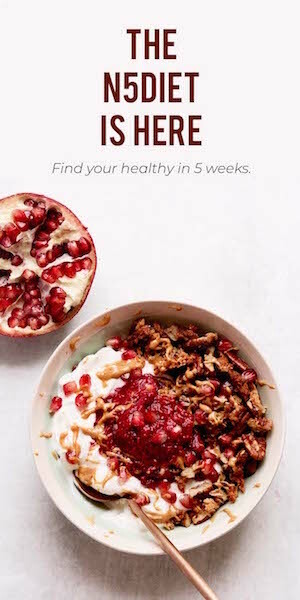 Having healthier sweet treats? 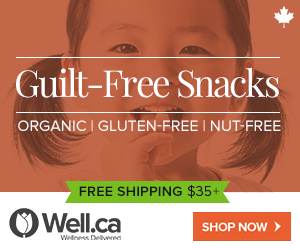 Going refined flour free? For us, it was replacing those recipes with traditional white flour and finding the right kind of substitute so we could still enjoy the same treats, just a better version. We’re not even going to lie, this took us a while to get a grasp on because not all flours are created equal, or do the same thing to your baked goods as white flour does. But, white flour!? Yes, it’s so versatile, sweet and easy to work with, but it offers absolutely no nutritional value. 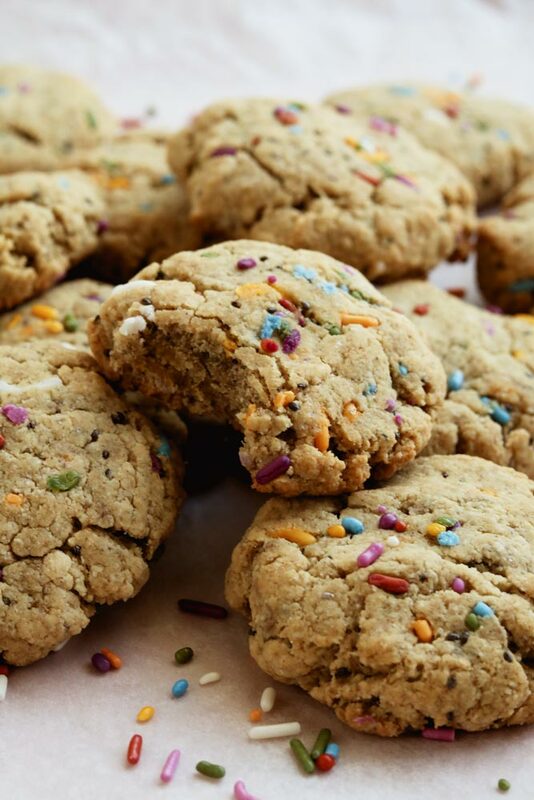 We need that fiber, protein and healthy fats when we are cooking up baked goods, and finding a way to get it all into cookie form, not always the easiest task. Have you heard of Bob’s Red Mill? Of course, because they have been around for forever, and are really a ‘have it all’ kind of company. 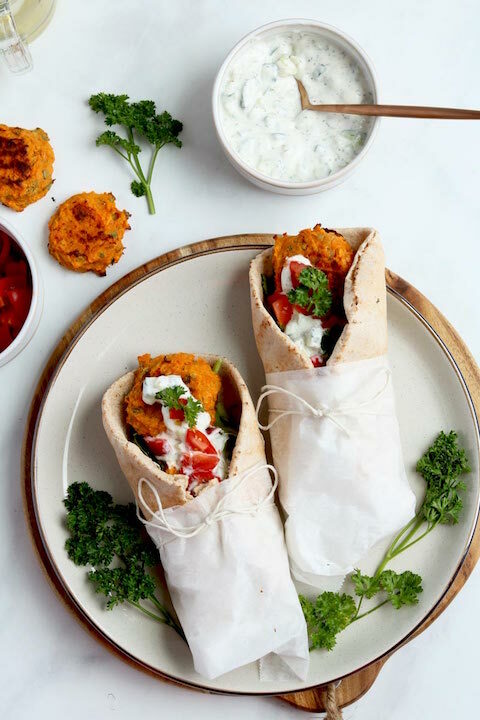 We just love them, not only do they make healthy swapping way easier for us, but they can really provide you with everything you need to keep your healthy cooking fun and delicious. 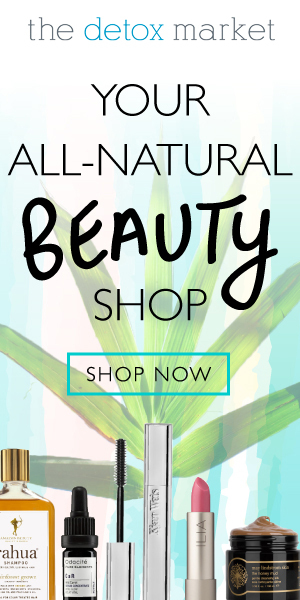 Nowadays we stock up! And, since we love Bob’s flour products we had a couple of fun things to play with. That’s where these Chai Spiced Vegan Protein Cookies were born. We wanted something that was loaded with protein (but protein sourced from plants), had no refined sugars (but still tasted sweet), was egg free (but still contained healthy fats), and was incredibly simple to put together. 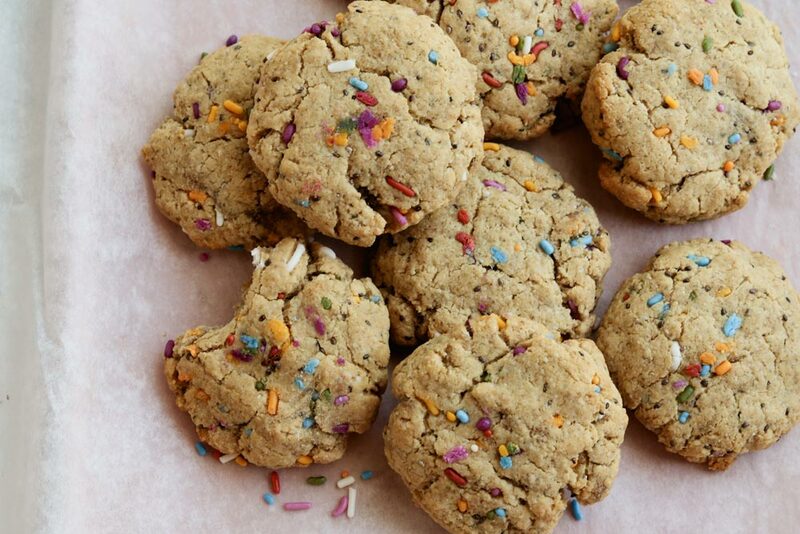 Actually, these vegan protein cookies were inspired by sugar cookies, we totally had a craving! 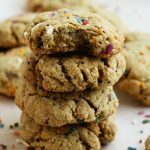 If you’re looking to add a bit of protein powder to your baking and you’re not really sure how to do that, you’ve gotta try these Chai Spiced Vegan Protein Cookies. 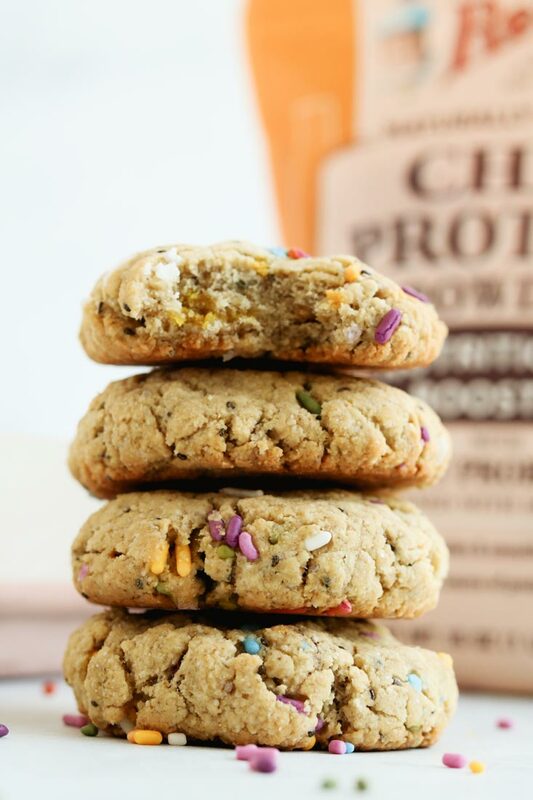 We used Bob’s Red Mill Chai Spiced Protein Powder for these vegan protein cookies, but you can swap it out with any flavour you desire, they will still come out delicious. And because baking paleo isn’t always the easiest (and we don’t want to use almond flour for everything), we used their Paleo Flour Blend. 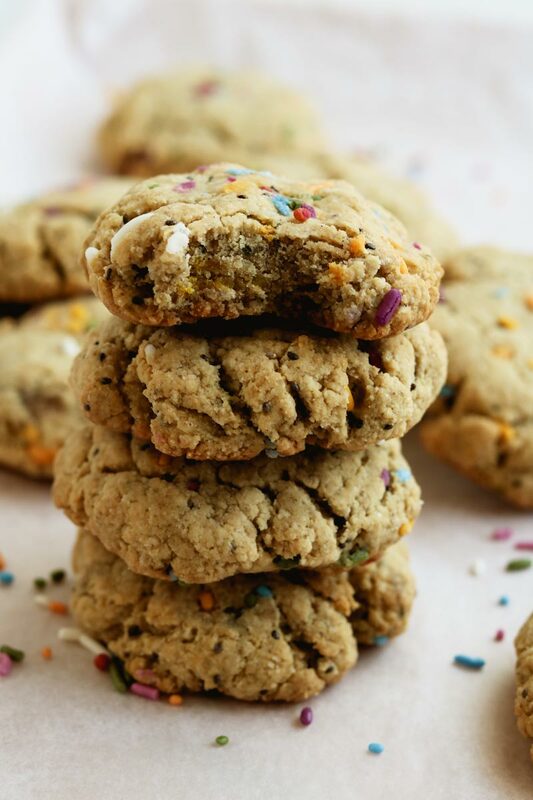 Which is a mixture of almond, coconut, arrowroot and tapioca to create the perfect chewy texture of all your paleo baking dreams (no heavy flour ratio research necessary). Totally digging these cookies! You can absolutely have them as a nice pre-workout (muscle building) and post-workout treat, an on-the-go snack, or just a nice dessert! And since Bob’s Red Mill protein powder is made with peas and sweetened with monkfruit, they are totally kid friendly (especially awesome if your kid has a meat aversion, like mine does). The best part for us anyways is that we don’t even have to blink twice with the paleo flour blend, it’s the perfect flour swap! Looking for other simple ways to use Chai Protein Powder that isn’t in smoothie form? You’re going to LOVE these Easy Chocolate Chai Overnight Oats. What do you think? 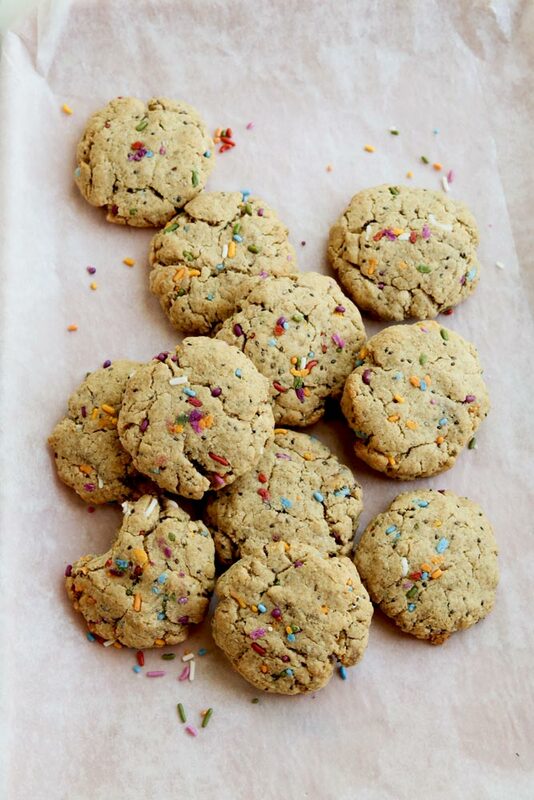 Protein cookies, yay or nay? These cookies are the perfect high protein snack for pre-workout, post-workout, on-the-go snacking or just for something to tide you over. Take the dry ingredients and mix them together. Do the same with the wet ingredients, then pour the wet ingredients in with the dry and mix thoroughly. These work best if you chill the dough for 15-30 minutes before rolling. When ready, lay a tray with parchment paper. Take about 1 Tbsp ball and roll out. You can either press thin (about ¼ cm) or roll out. * For the flax eggs take 2 Tbsp of ground flax and mix with 6 Tbsp water. Set aside for 10 minutes. What kind of sprinkles did you use? 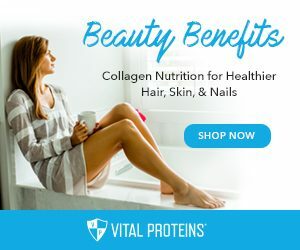 Hi Kathy, the cookies don’t call for chia flour specifically, but we would like to help out and provide some more cost effective alternatives to the chai spiced protein powder (if that’s what you were talking about for chia flour being overpriced)? You can try to substitute the flour for spelt flour or oat flour. Also, Genuine Health has a nicely priced vanilla protein powder readily available on Amazon.